I picked up a Kato SD70MAC recently. 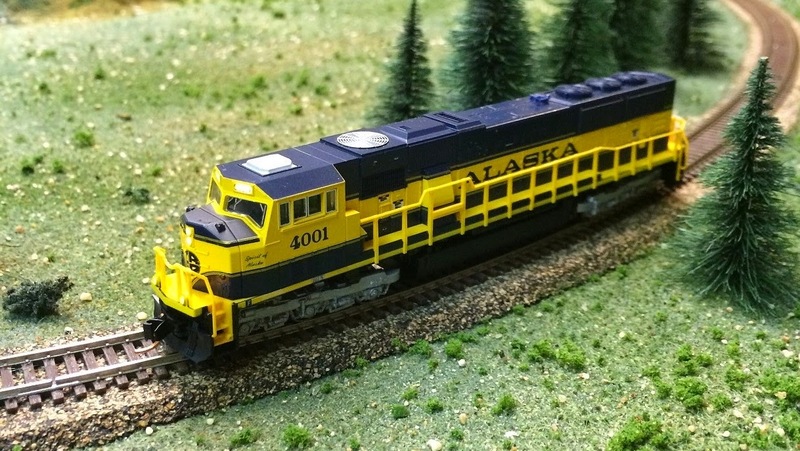 Engine #4001, the Spirit of Alaska, now runs my rails, hauling my passenger cars instead of the B&M Alco I was using. I quickly bought a DCC chip for it and gave it a test run: nice and smooth. The front and rear guard rails need to be painted white. I’ll also have to do some tinkering with the coupler. 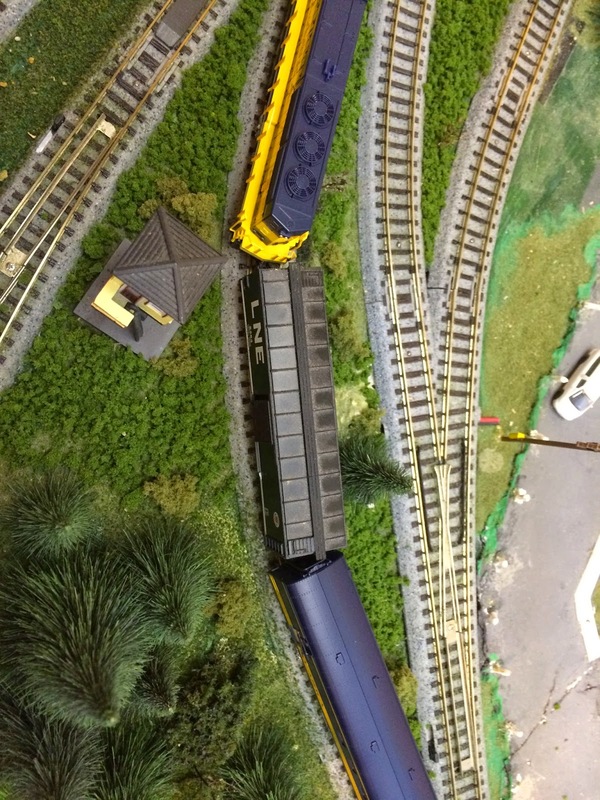 The body mounted coupler on the engine pulls the truck mounted coupler on the railway post office (RPO) to the outside of sharp curves, causing a derailment. This happens because the truck on the RPO sits so far back and the coupler shank can’t swing far enough in its factory supplied gear box. I’m planning on swapping out the truck mounted coupler, on the RPO car with a body mounted coupler. That should solve the problem. For now, I have a boxcar in between the two. The truck mounted couplers on the boxcar keep the train on the track. 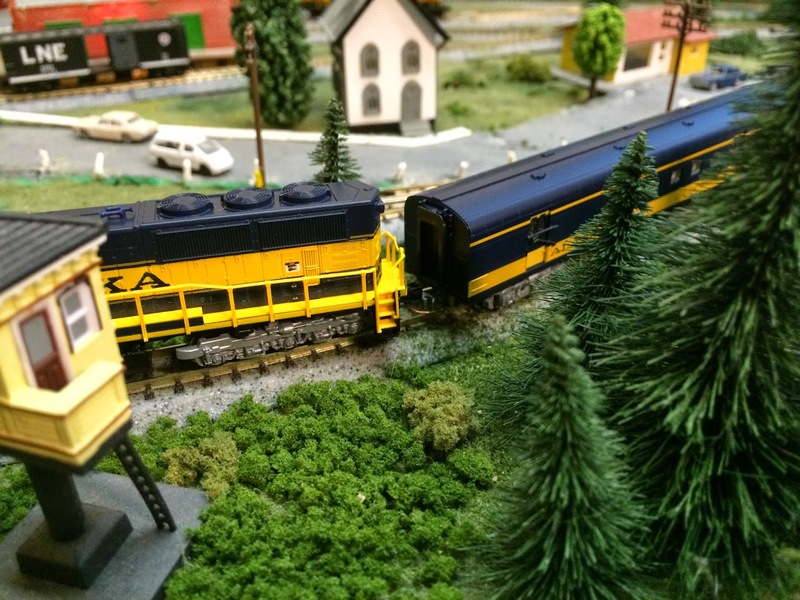 This entry was posted in Uncategorized and tagged Alaska Railroad, ARR, SD70MAC, Spirit of Alaska.